The population density of Canada is incredibly low compared to the United States. This map is a great way to visualize the difference between the two countries. 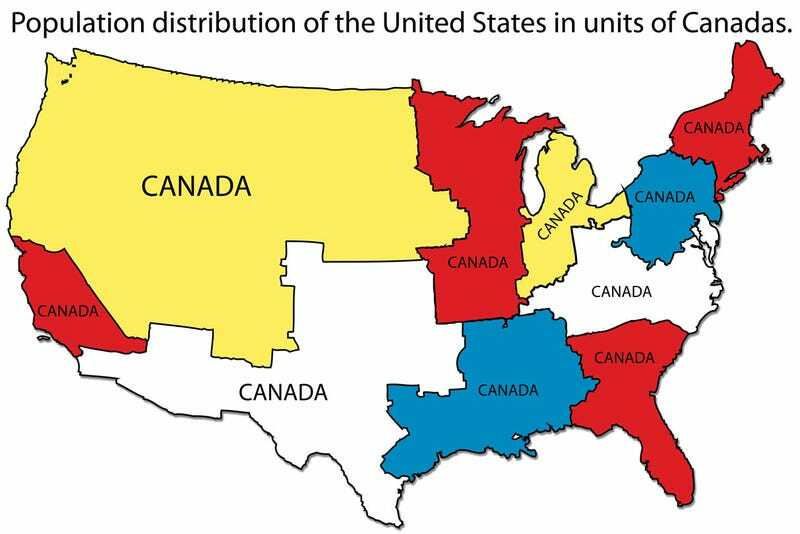 You could fit the entire population of Canada into each area on the U.S. marked "Canada."